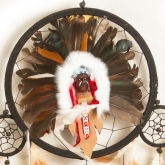 Many Native American stories and legends have been told about spiders and webs. 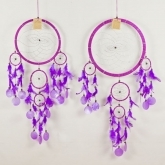 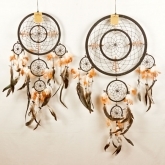 The dreamcatcher, with its web-like centre, was originated by the Ojibwe (Chippewa) tribes. 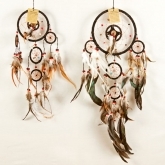 They were usually hung from the hoop of a child’s cradle board. 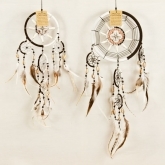 It is said that only the good dreams and thoughts would be allowed to filter through and would pass unhindered and slide down the feathers to the sleeper. 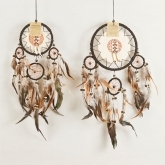 Bad dreams would stay trapped in the web, disappearing with the new light of day.